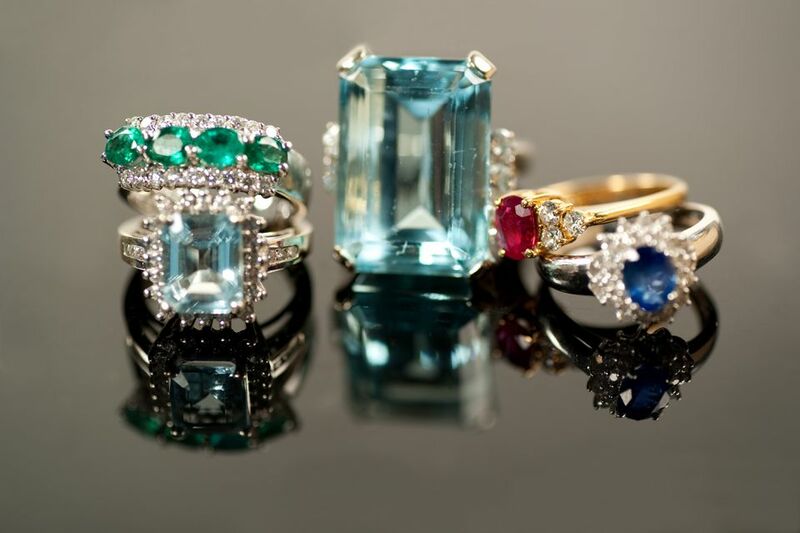 Gemstones rings are a trendy alternative to traditional diamond engagement rings. With growing concerns over the practices surrounding the diamond industry, combined with the inflated cost of diamonds in general, many couples are leaning towards rubies, sapphires, and even pearls as ethical and budget-friendly ring options. Precious diamond alternatives are also uniquely beautiful, making an engagement ring stand out from its run-of-the-mill diamond counterpart. Like, who can forget Kate Middleton's gorgeous heirloom sapphire engagement ring? But before you rush out for a replica of princess jewels, figure out what stone suits your style and make sure it will stand the test of time. Each precious stone corresponds with a particular hardness factor. This hardness rating (based off of the Mohs' Scale of 1 to 10) suggests just how resistant that stone is to damage. Diamonds are considerably durable, ranking a 10 on the Mohs' Scale—hence the term "diamonds are forever." But that doesn't mean a diamond can't be broken or chipped. It simply means that a nail rubbed across the surface won't leave a scratch. Many other gemstones rank high on the hardness scale, as well, and will warrant everyday wear. Still, others that rank lower need to be thoughtfully purchased to assure the ring will fit your lifestyle demands. A timeless choice for an engagement ring is a ruby, as it's one of the few precious stones that will look just as beautiful 20 years down the road as is does on the day you buy it. With a Mohs' Scale rating of 9, this red beauty is as durable as a diamond. However, it comes with a cost. Some high-quality stones can actually be more expensive than diamonds. Long before diamonds became the stone of choice, sapphire ranked high in popularity as one of the most chosen stones for engagement rings. This typically blue stone can vary in color. 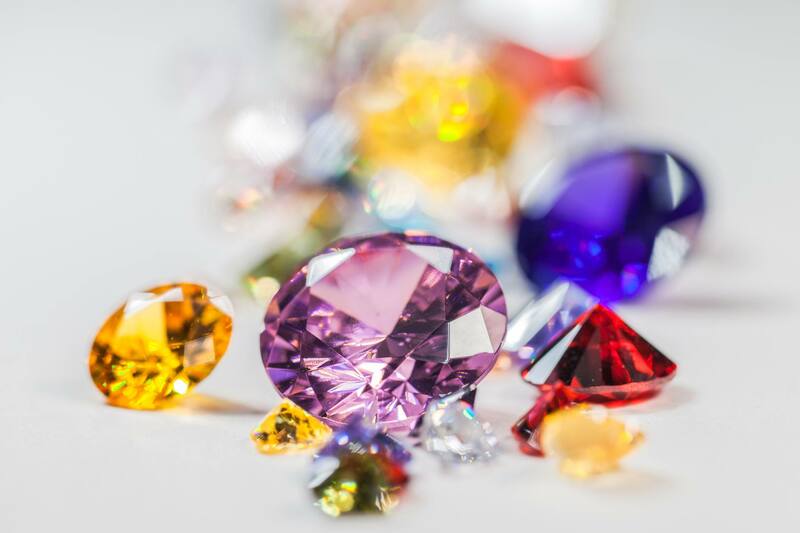 Hues of yellow, purple, and even orange are seen in quality jewelry. Sapphires also receive a Mohs' Scale rating of 9, yielding incredible scratch resistance and long-term durability. Aquamarine is a favorite alternative engagement stone, due to its unique green-blue color. In fact, lighter varieties of aquamarine can even be mistaken for diamonds. However, its Mohs' Scale rating of 7.5 to 8 indicates that, with extreme wear, it may show signs of scratching over time. Yet, with proper care and servicing, this lovely sea-green gem will last a lifetime. Green emeralds are a popular choice for engagement rings, as they symbolize love and new beginnings. Their bright color gives them a "wow" factor that pairs well with most women's style. And they are pretty scratch-resistant too, ranking a 7.5 to 8 on the Mohs' Scale. Yet, despite their hardness factor, some say emeralds are susceptible to cracking and chipping because they contain natural inclusions (characteristics enclosed within the gem). Still, selecting a quality emerald with an inclusion found in the center of the gem—rather than near the side—will not affect durability one bit. Buy your ring from a reputable jeweler to ensure this. A traditional gift for the 14th year of marriage, opals rank high in new-school options for engagement rings. The translucent hue of an opal gives every ring its own unique look and camouflages any surface scratches that may come with time. While it's not the most durable choice for everyday wear (ranking 5.5 to 6.5 on the Mohs' scale), choosing a reputable designer and then taking extra precautions will preserve it for years.